Setting up a business is never an easy job but running it successfully and achieving all your goals is all the more challenging. After all, the market is flooded with similar businesses and players. You need to have that x-factor to attract people towards your products and services. You need to have the skills to yield desirable results. There are many startups that wind up early as they are unable to draw the attention of the people and are unable to bear the losses. Only those with necessary skills survive and do well in the end. So, what exactly are the skills required by you as a startup owner to make it big in the market? To help you, we have listed skill-sets required to launch a new business idea or make a recently-started business successful. Your business comes from your target customers. They should be your priority as they are the ones who will buy your products or services regularly. Try to make them your loyal customers. This means that you should first learn how to handle your customers efficiently. In fact, founders of your startup must chalk out a plan to deal with clients and customers professionally so that they are happy with what you offer. You should be able to respond in a professional manner to support queries. Remember that each query by customers is your opportunity to create a solid loyal customer base. You may not be learning sales techniques right away as it takes time. You should be making enough sales. Remember that ‘sales’ has wide ranging meaning as it covers a lot of aspects of doing business. But a basic sales skill is to convince people about usefulness of your product and to make them buy at your price. So, you should learn how to sell online or in person. Ensure that you hire people who have good experience in selling your products or services in a convincing manner. As a startup business owner, you will be making many things while launching your business and even after. For example, your new business will be involved in making simple and complex web-apps. You will be making impressive logo design that is good enough to represent your business in the competitive market. So, find out what you can make new to promote your business online. To run a successful startup, another major skill you must acquire is to adopt right analysis techniques. This is because your startup will throw up many statistics and data regarding its performance. You should be able to understand and analyse the data and performance accurately so that you can arrive at right solutions to resolve new issues. Successful entrepreneurs are good communicators as well. They convey their thoughts and message in clear language with no ambiguity for listeners via written like in emails or in person during presentations or pitches. The communication skills are necessary also to successfully bring across a point through the visual presentation as in case of diagrams and designs. 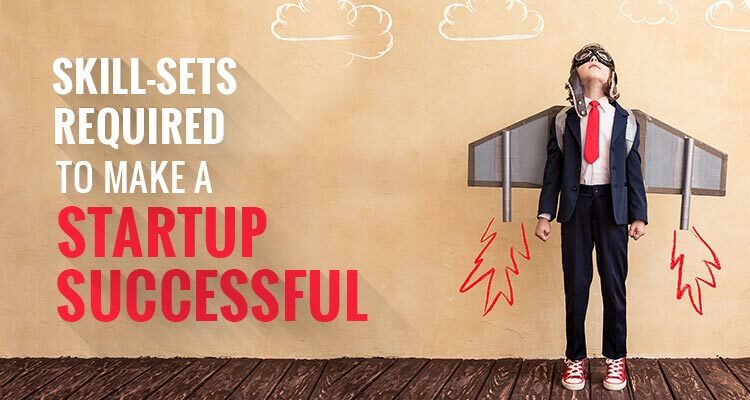 Your startup success will depend a lot on your management skill. Due to your startup being a new business, it lacks in resources. So, few finance and other resources you have at hand have to be explored fully for optimum results. This requires a great deal of management skills. In fact, management skills are essential at the very early stage when your startup has founders only. At that stage, you have to manage things on your own as you cannot afford to hire a professional manager. To conclude, these skills sets are not the only ones that you should be looking for. There are many of them and you will need them with time. But the above mentioned skills are basics without which you cannot move forward meaningfully. Next Next post: How UI is Still an Important Factor for Better Conversion?